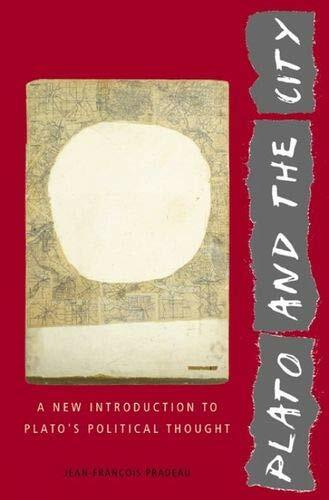 Plato and the City is a general introduction to Plato's political ideas. It covers the main periods of Platonic thought, examining those dialogues that best show how Plato makes the city's unity the aim of politics and then makes the quest for that unity the aim of philosophy. From the psychological model (the city is like a great soul) to the physiological definition (the city is a living being), the reader can traverse the whole of Plato's uvre, and understand it as a political philosophy. The book is designed to be an undergraduate textbook but will also be of interest to scholars. "There is much learning in this short book, and rather a lot to be argued over" Professor Janet Coleman, London School of Economics. Janet Lloyd has translated more than seventy books from the French by authors such as Jean-Pierre Vernant, Marcel Detienne, and Philippe Descola.